If your using Blogspot.com there is really nothing to be worried about hence Blogspot.com is owned and hosted by Google. So If your new or thinking of opening a blog account, Google requires nothing but your gmail.com account to help you go through the simple process that ends with blogspot.com. One thing I must say to my friends out there, is that most of these big and famous blog out there started with blogspot.com until they were able to finance themselves and then move to a custom domain which is also tide to the blogspot account that means you do nothing without your blogspot account. 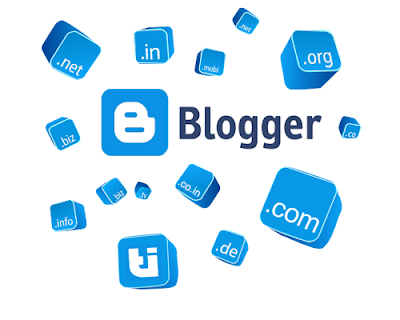 Blogspot.com is pretty a nice domain with which you can do a whole lot with, including applying for google ad networks, until recently when it’s becoming demanding for most bloggers on blogspot to move to a custom domain before getting approval for most online advertisers. For me the right time to move from blogspot to a custom domain is either now or later. If you move now, you stand a chance of advertising your custom domain from the period of building your blog from scratch to the time your have thousands or even millions of subscribers to your blog, in this way, you will neither loose nor confuse any of your site visitor by pointing your URL here and there. Of course you stand a chance of doing business with big blogs and advertisers who will help you spread your blog. With custom domain most people will never new how old your blog is at a glance hence it is an added value to your platform. finally here the truth is that even with your custom domain you will also have to wait for some eligibility period for certain applications to be approve to your blog. awareness is properly made to every of your blog visitor. I hope this post will be helpful, However, if you face any confusion or have any personal question, feel free to discuss in comment or contact with me from Contact page. I will try my best to stay with you. How To Setup A custom Domain And DNS On Blogger. ← Best Signal Strength Value On Mikrotik.